Lynette Riley is a Wiradjuri & Gamilaroi woman from Dubbo and Moree. Lynette trained initially as an infants/primary teacher through Armidale College of Advanced Education 1975-1977, after completing her HSC at Dubbo High School. Lynette is a senior lecturer at The University of Sydney; and has recently completed her PhD. Lynette is also an artist having presented her Kangaroo Skin Cloaks – a traditional Aboriginal art form – at several exhibitions since 2012. The first exhibition was with her sister Diane Riley-McNaboe in a joint exhibition ‘The Dhaga Ngiyanhi Gnan.girra – Where We All Meet Exhibition’ held in at the Western Plains Cultural Centre, Dubbo, NSW in 2012. 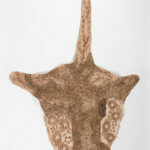 At this exhibition Lynette Presented her Kangaroo Skin Cloaks, a Possum Skin Blanket made with her sister and Diane’s feather headdresses and belts; Lynette has also a photographic journal of Diane’s work. Lynette and Diane have also taken this exhibition to Orange, Lithgow, and Sydney University’s Macleay Museum. Since 2012 Lynette has participated in other exhibitions, such as: the Parliament of NSW Aboriginal Art Prize 2013, which had a regional tour; the Mossman Art Gallery, Bungaree Exhibition 2012; the Cross Art Future Feminist Archive Project, 2016. Lynette does not exhibit in many places; she rather concentrates on making cloaks for family and commissioned cloaks. In all cases following the making of the cloaks, Lynette photographs them individually and with owners wearing their cloaks in places of significance to them; plus, an interview is held with the cloak owners on the relevance of the cloaks to them. Some of these interviews have been included in the ‘The Dhaga Ngiyanhi Gnan.girra – Where We All Meet Exhibition’. 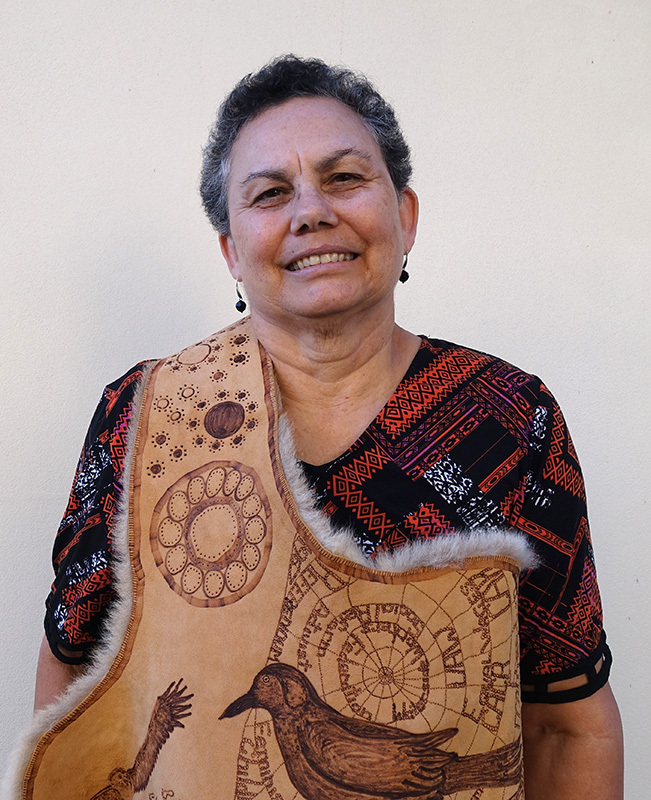 Lynette is working toward a greater understanding of Aboriginal cultural practices.